French daredevil Franky Zapata has flown the Flyboard Air Hoverboard to set a new world record by clocking up a distance of 2,252 meters flying the jet powered hoverboard, that is capable of flying for up to 10 minutes with a top speed of 93mph or 150km an hour. During the record attempt Zapata reached a height of 50m or 165ft and completed the distance in just under seven minutes. 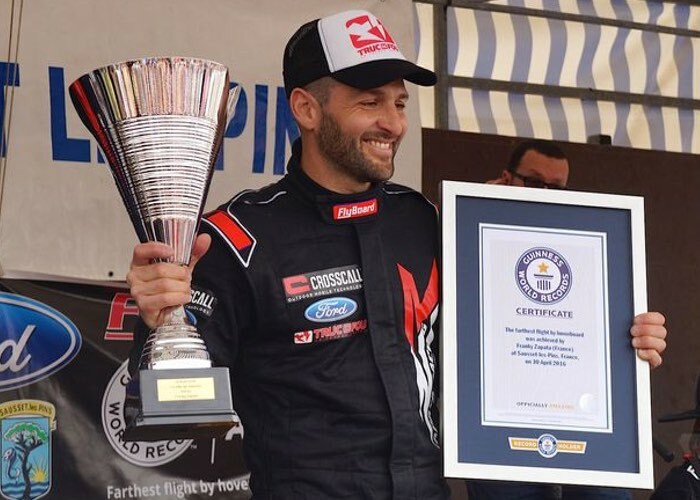 As you will see in the video, Guinness World Records official was on site for the flight and confirmed that a the distance shattered the previous record of 275.9 meters or 905ft set by Canadian Catlin Alexandru Duru last year. The Flyboard Air Hoverboard is still a prototype at the current time and unfortunately is not yet available as a consumer product but jump over to the official website for more details and full specifications as well as the ability to register your interest to be notified once the Flyboard Air Hoverboard becomes available to purchase. 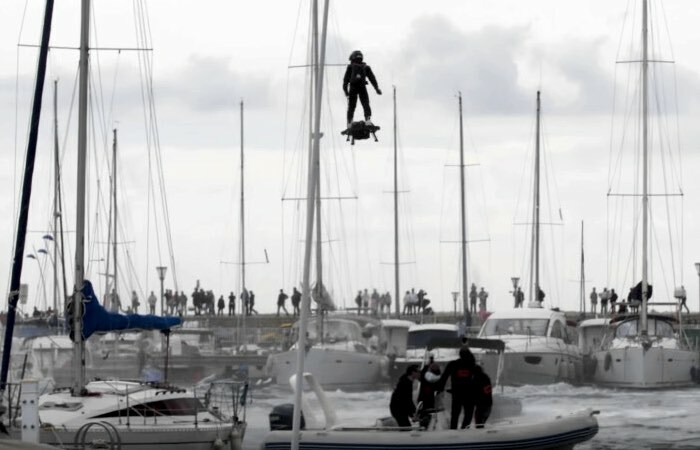 Watch the successful record attempt below and see the Flyboard Air Hoverboard make history by travelling 2,252 meters or 7,388ft from the French Atlantic coastal town of Sausset-les-Pins on Saturday. Zapata Racing has achieved the dream of all men and offers you the first video of Franky Zapata flying on the innovation Flyboard® Air. The Independent Propulsion Unit represents 4 years of hard work for a result exceeding all records: Autonomous flight up to 10,000 feet, Top speed of 150km/h (93,2 mph) and 10 min autonomy. 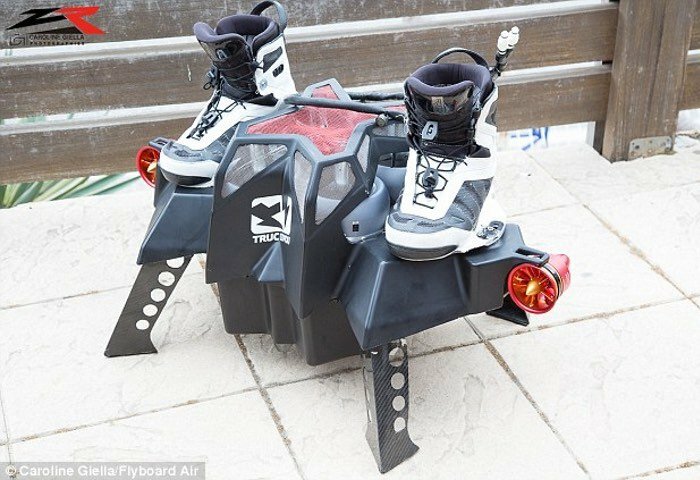 Although the UFO is still in prototype phase and won’t be on the market in 2016, it has exactly the same behavior as the ESH Flyboard Pro Series.